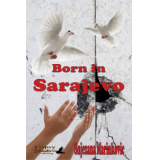 When first barricades and first gun shots occurred in the capitol of Bosnia and Herzegovina, Sarajevo, I was seventeen years old. It was the year 1992, and one of the worst mass killings in the history of mankind began. At that time, my family, my friends, my neighbors, and I were still unaware that we will lose all privileges related to peace. People of this country, which was called Yugoslavia, proudly holding the title of the biggest and the wealthiest Balkan country, started losing their freedom, their homes and their lives. I, as any other teen, knew about war only from movies and video games until my first encounter with those whose intention was not to act or play but to overpower, destroy and kill.